We are proud to exclusively show a very rare limited edition Tamiya which is to be sold in the UK. 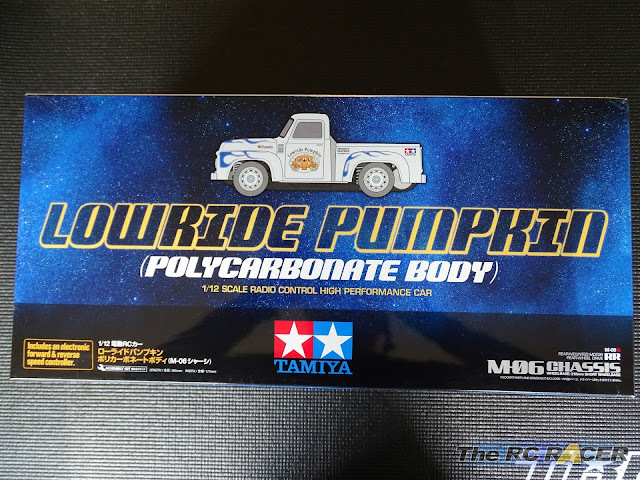 The Tamiya 93036 Polycarbonate Lowride Pumpkin is a limited version of the existing 58594 M06 lowride pumpkin but unsurprisingly it comes with a polycarbonate shell. Here are the first pictures of our kit which we received. 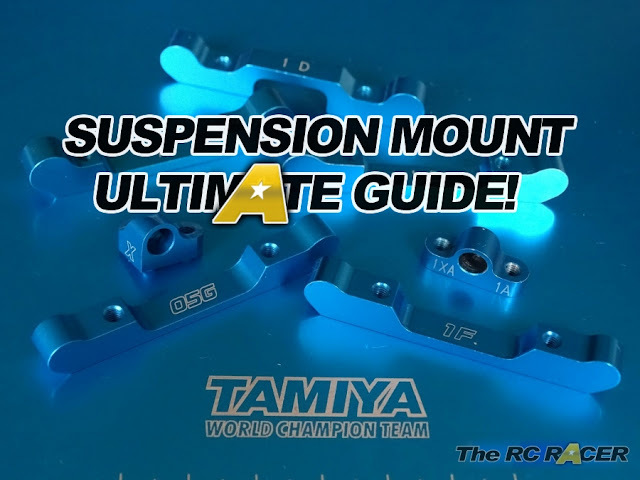 As you can see it is not a standard Tamiya kit number, as they begin with the 58 prefix. This is a limited run with the 93 prefix usually reserved for special trade show versions. Once you empty the box, it's hard to fit it all back in! 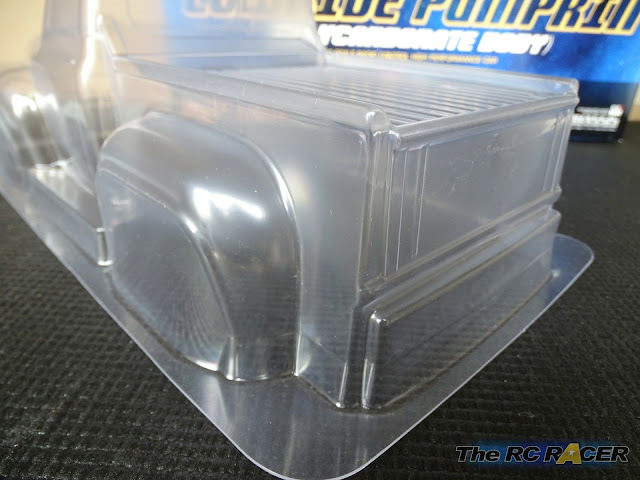 Opening the box you will see the M06 chassis contents and the clear lexan Pumpkin shell. 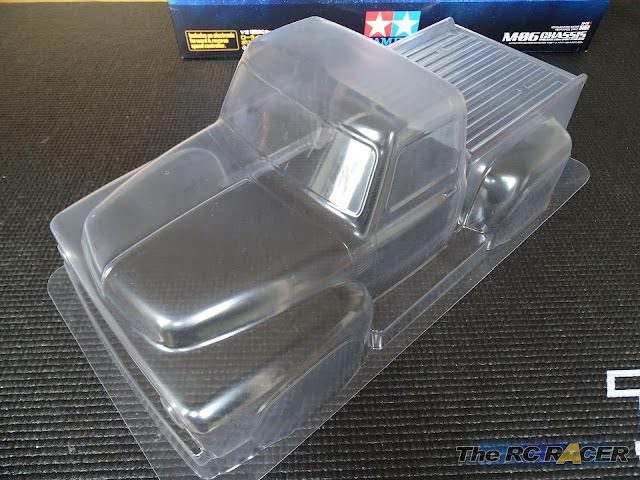 This is a big deal, as this shell will be much stronger than the beautiful ABS one that has become such an iconic looking Tamiya over the last 3 decades. Being Tamiya the detail is really good as you would expect. There are marks for where you can drill body post holes. The main thing you notice is that the rear bed is higher, and the side steps are much wider. Will this front resist a head on collision? The detail is there on the front of the shell. 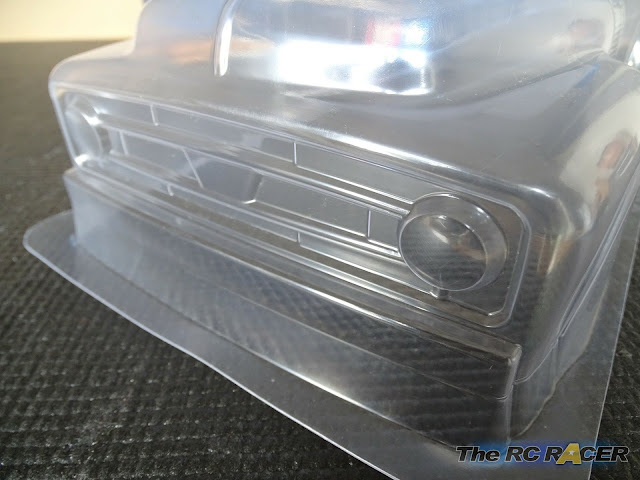 The headlights are moulded and the lines look really clean. The rear end is plain, like the later version of the hard shell with no Ford logo. Again though you can see the detail of this shell, it captures the charm of the original perfectly. The decals are obviously different. 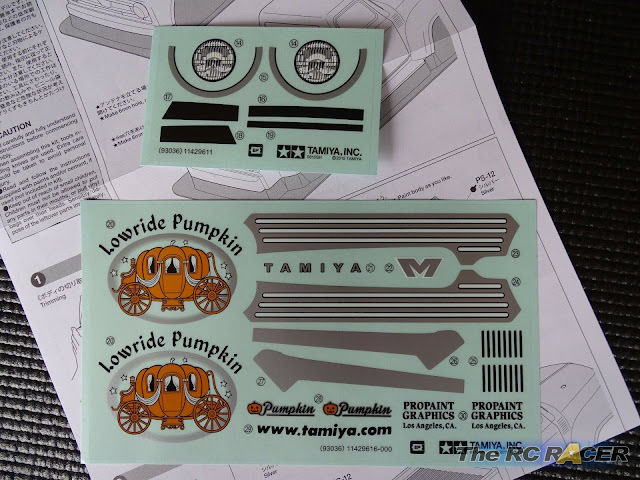 There are the black edition decals, along with the two extra sheets that you can see above. These will help you detail the car. 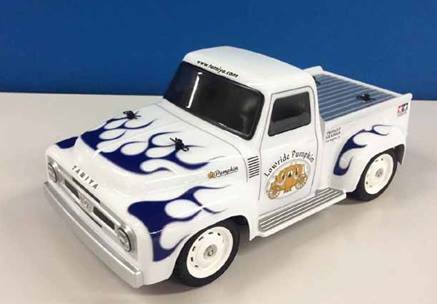 The other unique kit part are the special edition white Lowride wheels. 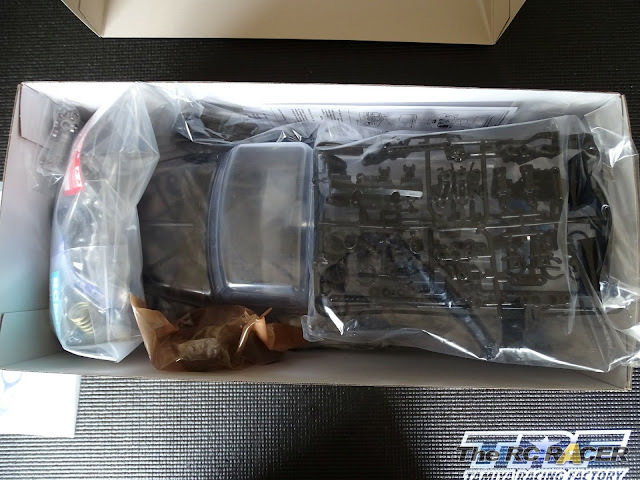 I have been told that this kit is a very limited run. 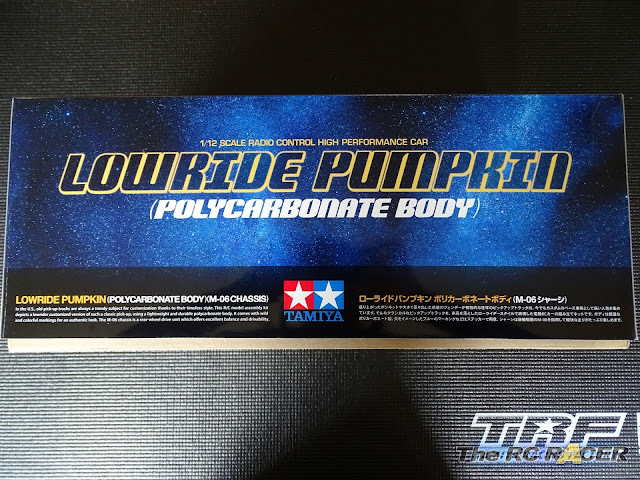 I however will be surprised if Tamiya do not release the shell at some point as a spare for the CW-01 Midnight pumpkin as this shell will be much more resilient.